HomeMiniature HobbyShowcaseHill Terrain Painted at Last! Hill Terrain Painted at Last! 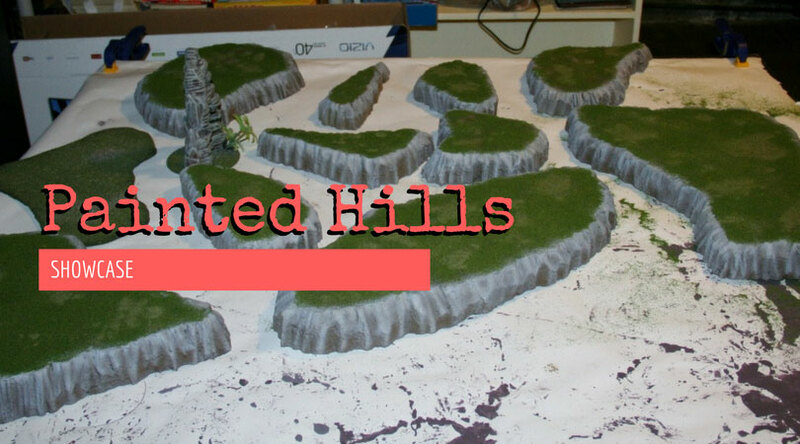 A couple of weeks ago I posted on how I made my hill terrain fit into one box, and last week I posted my process for painting them. Since then I’ve managed to finish painting them. So here they are, ready for a battle! In the first picture you can also see a taller piece of rocky terrain and a flat grassy plate. The tall piece is an aquarium decoration that I glued to a CD and painted. It was super simple, looks good on the table, and does a good job of breaking up sight lines. The flat plate is what I use to represent woods. I put some trees on it to represent wooded terrain and the plate determines the boundaries of the woods. We often add trees to some of the hills for the same purpose. Here are a couple of shots with a Rebel Grot Veteran Squad included to give a sense of scale. This also shows how the smaller pieces can easily be stacked on top of the larger ones to create taller hills. Many people create stepped hills in this manner but while it is common to glue the tiers together before painting I’ve left them separate to allow more variety of use. After several years of playing on white hills it feels good to finally have them painted! Now I just need to paint a table top and make a few buildings. 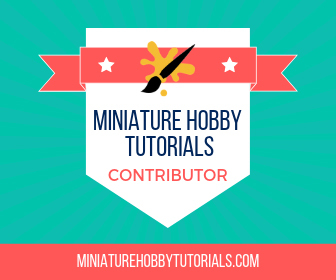 Are you playing on fully painted terrain or have you been putting it off like me? They look great. I like the variation on the top too, gives it a realistic look. Awesome! I like the tiered hills, plus the edges and style is nice and clean. Thanks! I painted these with an airbrush. It gave me much better control and smoother blending than when I’ve dry-brushed them in the past. Great hills! Very nicely done. Agree with thor, the variation makes them look great. Thanks! I did want to make sure they didn’t look well manicured.